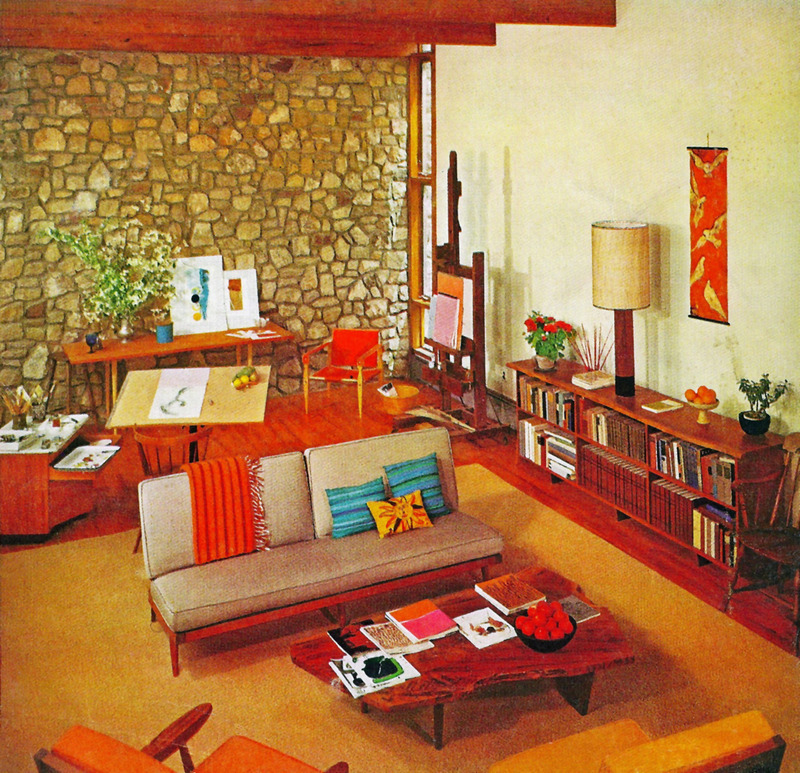 Another tumblr find this time, and while admittedly dated, there are a few things to pick out about this room, namely the lovely wood coffee table, the exposed stonework and the classic, simple lines of the furniture. With orange on the catwalks and blues in the home, I could even transport the throw and the cushions to the modern day. I'd probably ditch the mustard rug though.